Once again, LeoVegas dominates the headlines. Indeed, according to the company, Hasbro and Evolution Gaming have come together to develop Monopoly Live. And LeoVegas is among the first operators to launch it, and this should be a hit. After all, everyone loves Monopoly. However, this isn’t your old dusty board game, even though it still sort of looks like the classic version. Nonetheless, Monopoly Live is something brand new and fun. Not to mention, it’s also similar to Dream Catcher which is another hit game by Evolution. As we said above Monopoly Live is a twist on Evolutions’ hit Live roulette game Dream Catcher. The developer said they’re taking all entertainment from the Money Wheel and spicing it up with features from Monopoly, like a CHANCE space. Plus, players can activate a Bonus Game and enter a 3D Monopoly world to collect extra prizes. Also, the new casino game comes with the most appealing sound effects and a live dealer you can interact with. It’s worth knowing that Monopoly Live isn’t available worldwide yet. But if you’re in the UK, then it’s your lucky day. As of Thursday 28th March, the game went Live and is available to play 24/7 at LeoVegas. The game is super easy to play. When the dealer spins the wheel, all you have to do is to predict the number the wheel will stop on. In addition to the launch of Monopoly Live, LeoVegas is preparing to release two more Live titles this spring. That’s right, on 11th April the online operator will make available, Super Sic Bo. Also, Deal or No Deal will launch in May 2019. 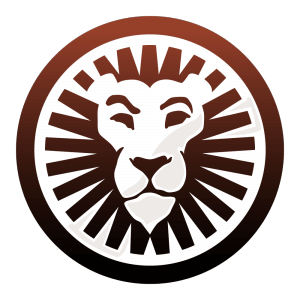 All in all, LeoVegas is on a mission to bring all the hottest entertainment online to the Lion’s Den. With this in mind, head over to the casino’s website now to check out Monopoly Live if you’re curious.